The information herein is focused and specified for Hypotension (Low Blood Pressure). However, there is, also, helpful information for Hypertension (High Blood Pressure). MORE is NOT better. Therefore, use appropriately and do not think MORE is BETTER with hydrosols just because they contain less of their essential oil co-product. Essential Oils Regulators: Lemon and Lime are recognized by some aromatherapists to regulate blood pressure as necessary. However, other professionals consider Lemon to NOT be used when having HYPERTENSION. However, Lemon may, then, be appropriate to use when wanting to RAISE low blood pressure. TEST FIRST: Be prudent and safe and be sure to test 1 drop and test one’s reaction to ascertain the suitable use of Lemon essential oil when dealing with blood pressure issues. Essential Oils: Essential Oils traditionally and historically known to elevate blood pressure and/or heart rate by just inhaling them are listed below. Because these oils elevate blood pressure, they should NOT be used by those with Hypertension (HIGH Blood Pressure). However, they may be beneficial for those with Hypotension (LOW Blood Pressure). While there are essential oils scientifically and professionally to be contraindicative to hypertension, there is no established evidence that any particular essential oil exacerbates hypotension. *As a certified aromatherapist, I would avoid Citronella and Nutmeg for other safety reasons. If using Hyssop, it’s safer to use Hyssop decumbens rather than Hyssop officinalis. If using Sage, be sure to not use Salvia fruticosa miller when having hypertension/high blood pressure and use Salvia officinalis is using to increase hypotension/low blood pressure as Salvia fruticosa has cytotoxic properties (causing toxicity to cells as chemo therapy can be cytotoxic). Essential Oils Used for Hypotension/LOW Blood Pressure: Rosemary, Ginger, Bergamot, Blue Cypress and Holy Basil (cardio tonic). Most Commonly: Rosemary is used because it’s a heart tonic and stimulating which helps to normalize blood pressure. Rosemary energizes and stimulates the central nervous system helping to clear the head aiding memory and alleviating lethargy. Black Pepper and Peppermint are also beneficial as stimulants, especially, if fainting is present. However, these two essential oils should not be used excessively. Hyssop decumbens and *Sage are also helpful; however, too much may cause toxicity; therefore, should only be used by those who have done their research and know how to use properly. A more brisk massage than normally used when using aromatherapy is considered useful to stimulate circulation along with a regular exercise regime starting out gentle and slowly and steadily increasing to obtain and increase circulatory efficiency. If using *Sage, it’s recommended to use Salvia officinalis instead of Salvia fruticosa miller. Natural Remedies & Supplements to Consider: Pray and try to ascertain the location and eliminate the cause of the symptoms rather than just treating the symptoms. Drink 2 oz. of fresh beet juice 3 x/wk and consume 1 serving of whole beets 3 x/wk to invigorate lagging blood pressure. Herbs may aid to get nutrients to the cells by opening up capillaries; thus, removing blockages and increasing circulation. Motherwort is known to help balance heart rhythm; Hawthorne strengthens the heart and circulatory system and helps normalize such; while Cayenne (capsicum) increases circulation. Cayenne boosts and mobilizes its nutrients and those of other herbs throughout the circulatory system. Thus, bringing the life giving vital forces of Elohim’s creation to each cell via the blood where life is present. Garlic is helpful in lowering hypertension and an equalizer of blood circulation; therefore, it’s also helpful for those with hypotension. More oxygen is needed to aid in the correction of low blood pressure. Garlic is a good oxygen carrier; thus, it’s again indicated for both high and low blood pressure correction. Use preferably raw garlic. Blender Recipe: A spicy, tangy and healthy way is to take raw garlic is to blend 3 – 5 cloves of garlic with 2 – 4 cups of fresh squeezed oranges (can add grapefruit also) along with ¼ – ½ tsp of cayenne and ice in a blender and crush. If need be, start with 1 – 2 cloves of garlic and a pinch of cayenne and work your way up to the recipe. DEEP BREATHING exercise is one of the best ways to increase oxygen and aid both conditions. An immediate increase in circulation and oxygenation is aided by using cayenne and consuming a diet of non-mucus forming foods. Grape juice helps to rebuild and give endurance to the body. Useful Herbs: Blue Cohosh, Burnet, Cayenne, Dandelion greens or tea, Gentian, Fresh or Dried Ginger Root/tea, Goldenseal, Hyssop, Prickly Ash, Red Pepper, Sassafras, Scullcap, Vervain and Wood Betony. Herbal teas can be intensified for faster absorption by adding a pinch of cayenne. Magnesium, Celtic Salt, and Vitamin B5 (Pantothenic Acid): B5 plays the role in metabolism energy acting as a coenzyme. Foods high in B5: rice bran, mushrooms (shitake is highest), spirulina, sun dried tomatoes, cashews, chives, fish, avocados, eggs, sunflower seeds, sweet potatoes, cheese, lean beef, lamb and chicken livers. Lower contents of B5 are provided in sunflower, flax seeds, hazelnuts, chestnuts, pecan, rosemary, molasses, macadamia, white beans, sesame butter, cauliflower raw, broccoli cooked, garlic, dates, pistachios, fig, parsley, kidney beans, dill weed fresh, butternut squash, parsley, almonds raw, plain yogurt, tuna, and turkey breast. Vitamin C, Liposomal Vitamin C: 1,000 – 3,000 mg daily to bowel tolerance and a minimum of 8 glasses or purified water (no chlorine nor fluoride). Vitamin B12 and Vitamin E (100 I.U. gradually increased to 600 IU). Ginger, Ginseng herbs are known to help regulate blood pressure (high or low). REST: It’s important to get adequate rest and, if possible, go to sleep with the darkness and awaken with the light of the sun. Both help with melatonin and serotonin production and helps the body sleep and rest for healing. TEST your Morning Temperature for Hypothyroid which may contribute to blood pressure problems. First thing upon rising out of bed, place a thermometer under your arm for 15 minutes and remain still. Write down the results for 5 days. A temperature of 97.6 degrees or lower may indicate an underactive thyroid. Some believe anything under 98 degrees consistently indicates low thyroid activity. Concerns: While low blood pressure is more known to be related to a longer life span than those with the health problems related to high blood pressure, low blood pressure can be a major concern when blood flow to the brain is reduced to the extent that dizziness or fainting spells are experienced. Many times, low blood pressure is not only associated with a lack of blood flow to the brain but, also, to the extremities; thus, it may be accompanied by having cold feet and easily becoming tired. It may be due to an impoverished nutrition, chronic wasting disease, hypothyroidism or other condition which needs treatment. Hypotension may be the caused by pharmaceutical drugs, kidney disease, anemia, low blood sugar, diabetic nerve damage which disrupts blood pressure controlling reflexes or taking diuretics to increase urination when there is no longer a need for such. Some references regarding lack of blood flow to the brain and kidneys which may affect blood pressure are regulated when taking adequate amounts of cayenne (capsicum) and/or with adequate movement/exercise. A sudden blood drop in blood pressure known as acute hypotension may result from an injury with heavy blood loss or physiological shock – such as a heart attack. TEST for HYPOTENSION: An historical and traditional way to check for hypotension is to take blood pressure while lying down, then again after standing for 1 minute. If there is a 20 point DROP in the systolic pressure (upper figure), then low blood pressure may be indicated. In the book, BACK TO EDEN, Jethro Kloss reports that blood pressure reflects contractile powers of the heart and resistance of the blood vessels. Blood pressure generally increases every two years about one degree. Normal blood pressure is approximately 125 and at the age of 60 years old, it’s 140. When physically weak, one has a slightly lower blood pressure while those who exercise have higher blood pressure. The old methodology and theory of blood pressure count was to have been 100 systolic plus the age, wherein a person of 30 years old would have a normal blood pressure of 130, and a 40 year old would have one of 140. However, this is considered incorrect because, at any age, meat eaters will have a higher blood pressure than vegetarians. Therefore, there are no hard and fast rules on blood pressure. 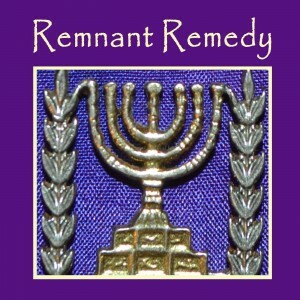 Disclaimer: This information and any information on any Remnant Remedy affiliate sites including Pure Shemen is based on historical and traditional use, along with scientific research. It is not meant to diagnose, prescribe or treat any condition. Authorities recommend one consults a qualified license health care practitioner. Nitza Moshe is a certified aromatherapist with additional experience and training with herbs and natural health coaching. However, she is not a license physician, nor does Remnant Remedy retain a licensed physician or health care provider on staff. Therefore, take responsibility for your health, pray and seek direction as to consulting your physician or medical health care provider. Nothing, herein, and/or which describes any product or natural health practice on any Remnant Remedy website or via any verbal, audio, video or written communications is intended to diagnose, prescribe or treat any health condition. According to governing authorities, unlicensed persons may not use the words heal or cure and cannot guarantee that any product or practice mentioned will do such. All information as to use of essential oils, hydrosols, carrier oils, and any other product is based on historical and traditional use. By reading, watching or listening to any information aforementioned or herein, and or making a purchase, you are agreeing to understanding this is not medical advice in any way and hold Remnant Remedy, Nitza Moshe and affiliates harmless. Natural Remedies Encyclopedia, 6th Edition, Vance Ferrell, Harold M. Cherne, M.D. The Healing Intelligence of Essential Oils: The Science of Advanced Aromatherapy, Kurt Schnaubelt, Ph.D.